If you’re looking for the definition of a small, hometown restaurant featuring delicious breakfasts and lunches, you’ve found it! Our food is the tastiest in the area and our staff is super friendly. In addition to providing plentiful helpings at a great price and a welcoming, comfortable atmosphere, we offer beer, wine, champagne punch and mimosas. 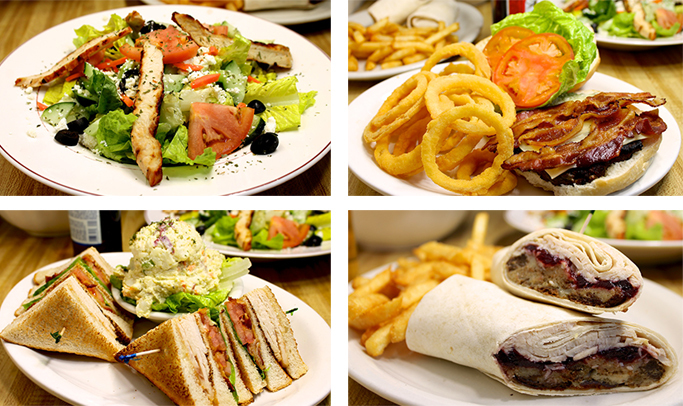 We serve breakfast, lunch and take-out.